If you have pale skin like I do, I'm sure you've had blushes that are simply too pigmented to work with! It's so frustrating to have high quality products that you love but that just don't work for you. Well, I saw this amazing blush-changing tip on Temptalia (amazing blog, every beauty blogger probably agrees). 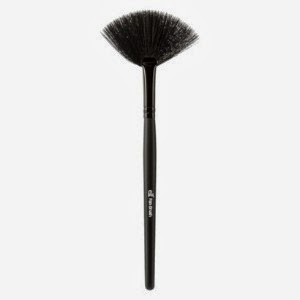 You can use a FAN BRUSH for a very light application of blush (or highlighter) to your cheeks! I've been doing this with one of my new blushes I was so disappointed about and instead of looking like a doll, I look just glowy and alive with no application issues, it's just perfection!